August 2018: Managing Principal Jennifer Chiodo presented "Driverless Buildings: Harnessing Software for Uber Deep Savings" at the ACEEE Summer Study on Energy Efficiency in Buildings in Pacific Grove, CA. As her abstract describes, "As baseline equipment efficiencies continue to progress, C&I energy savings are increasingly dependent on improved system control through building automation. Unfortunately, most building automation systems (BAS) have limited persistence, because they are poorly programmed and, therefore, habitually overridden. "There is a path to driverless buildings that will run without need for constant adjustments. Industry experts working on the leading edge of building controls programming for delivery of comfort, fresh air and lumens will share direct experience with moving the market toward optimally efficient system operation." April 2018: Cx Associates has developed an outline of an Owner's Project Requirements (OPR) document. The creation and distribution of this document was inspired by Jennifer Chiodo and Dave Keelty's presentation on inclusive OPR processes at the 2018 Better Building by Design conference (see description and link to presentation below). It serves as a guideline for new construction project team members who are tasked with developing project objectives and delineating owner's expectations. Click this link to download: OPR CxAssoc Example. February 2018: Eveline Killian and Daniel Tuhus-Dubrow from Cx Associates, Christopher Vintinner from Distech Controls, and John Grosvenor from Vermont Historical Society presented "Retrocommissioning Works" at the Better Buildings by Design conference in Burlington, Vermont. Their presentation discusses what retrocommissioning is/is not, along with a case study at the Vermont Historical Society. This presentation gives a unique look into retrocommissioning processes and achievements by discussing an owner's perspective. February 2018: Jenna Antonino-Dimare and Jennifer Green from Burlington 2030 District, Curt McCormack from Vermont House of Representatives, and Gretchen Schimelpfenig from Cx Associates presented at the Better Buildings by Design conference in Burlington, Vermont. Their presentation, "Inherent Environmental Advantages of Town Living and the Role of the Burlington 2030 District," describes what the 2030 District Movement is, the reasons behind Burlington's participation, the current status of the Burlington 2030 District, and future goals and plans. February 2018: Jennifer Chiodo, Managing Principal (CxA) and Dave Keelty, Director Facilities Planning and Development (UVMMC) presented at the Better Buildings by Design conference in Burlington, Vermont. Their presentation, "Establishing a Solid Project Foundation through an Inclusive OPR Process – Lessons from the Field," discusses the benefits of the Owner's Project Requirements (OPR) process. Whether it is a new building, a remodel or a system upgrade, defining the objectives up front for the team to understand, helps to ensure project success. 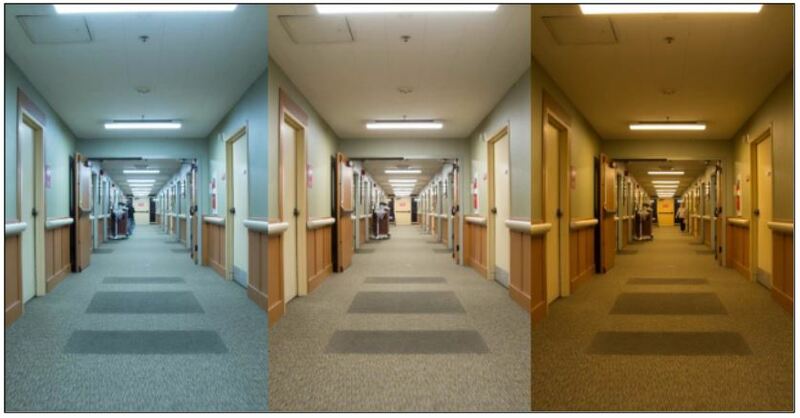 September 2016: A new DOE report looks at the health impacts and other benefits of "tunable" lighting that mimics the color temperature of daylight over the course of the day. August 2016: Rick Stehmeyer's article, "Hobby Microcontrollers And The Future Of The BAS Industry" appeared in the August 2016 issue of Engineered Systems Magazine. February 2016: Better Than Before – HVAC System Improvements via Engineered Retrofits. The inevitable replacement of HVAC equipment opens up opportunities for engineered retrofits that improve system-level HVAC performance. The presenters show how to take a systems-level approach to equipment replacement scenarios to reduce both the first cost and the operating cost of HVAC equipment. The presenters share real-world examples of engineered retrofits of HVAC systems - The example projects illustrate the application of new, higher efficiency HVAC technologies, and how these technologies can enable engineered retrofits of HVAC systems with improved life-cycle performance. June 2014: Retro-commissioning Best Practice Study, MA Energy Efficiency Advisory Council. Cx Associates Managing Principal Jennifer Chiodo led the study resulting in this paper which describes the results from a collaborative effort to identify retro-commissioning (RCx) program features that qualify as best practices. Adoption of these practices could help the Massachusetts Program Administrators (PAs) achieve higher levels of participation and savings through retro-commissioning. August 2013: Jennifer Chiodo was the lead author of, "Compared to What? An Alternative Strategy for Estimating Commercial and Industrial New Construction Baselines," a paper she presented with the team at IEPEC 2013 in Chicago. June 2013: Matt Napolitan and Brent Weigel's article, Condensing Boilers: Maximizing Benefits appears as the cover story of the June 2013 issue of Engineered Systems magazine. March 2013: Tom Anderson gave an updated presentation of "Strategies for a Meaningful Design Review" at the Building Commissioning Association's Northeast Chapter summit in Keene, NH. March 2013: Eveline Killian presented "Calibrated Modeling – How Well Does My Building Perform" at the New York State Green Building Conference in Syracuse, NY. You can view her entire presentation on Slideshare. January 2013: Tom Anderson and Jennifer Chiodo's article, Building Performance Monitoring And Metrics: Putting Building Data To Work was published in Engineered Systems Magazine, a leading publication that "provides practical, energy-efficient solutions for mechanical engineering projects." November 2012: Eveline Killian and Emily Cross presented an online webinar for Onset Computer Corp, "Calibrated Energy Modeling Using Measurement and Verification." Their 90-minute course course explained how data loggers are used to adjust energy model input values, and how to calibrate energy model outputs to utility bill data. By creating weather normalized models, calibrated modeling ensures the model is representative of real world conditions. Energy models calibrated in this way can be used to accurately inform efficiency program impact evaluations, quantify discrepancies with LEED M&V models, and inform future energy investment decisions. August 2012: NYSERDA's New Construction Program (NCP) Impact Evaluation Report for Program Years 2007 - 2008 [PDF]. Cx Associates' Jennifer Chiodo served as the Principal Investigator for this study as part of the Megdal & Associates Impact Evaluation team. February 2012: Tom Anderson and Emily Cross presented "Performance Monitoring for Efficiency" at the Better Buildings By Design 2012 conference in Burlington, Vermont on February 8, 2012. Their presentation covered the the ways we can ensure that buildings stay energy efficient over time. You can also check out their presentation on Slideshare. January 2012: Tom Anderson presented "Strategies for a Meaningful Design Review" at the 2012 ASHRAE Annual Conference in Chicago, IL on January 23rd. His presentation teaches attendees how to conduct meaningful design reviews to help the design team meet the Owner's Project Requirements. It covers the financial benefits of design review, scheduling design review for maximum benefit, the mechanisms of the design review process, and other topics. January 2012: NYSERDA's New York Energy Code Compliance Study.Working with the Vermont Energy Investment Corporation, Cx Associates led NYSERDA's ARRA-required Commercial Code Compliance evaluation for New York State. The study involved the evaluation of 26 commercial properties including site visits and energy modeling. August 2011: Jennifer Chiodo and Kathryn Parlin's presentation at the IEPEC 2011 conference in Boston, MA - "Demand Reduction in the Forward Capacity Market: Expectations and Reality"
March 2011: Cx Associates' presentation, "Mechanical Systems Optimization," part of the Vermont Housing Conservation Board's "Roadmap" to Energy Efficiency in Affordable Housing project. You may download the full report, "A Roadmap for Housing Energy Affordability: Preserving Vermont's Affordable Rental Housing," here. February 2010: Cx Associates' presentation, "Commissioning: Process and Benefits" given at the Better Buildings By Design conference. Presented at the 2009 International Energy Program Evaluation Conference in Portland, Oregon: "Demand Reduction in the Forward Capacity Market: Verifying the Efficiency Power Plant." Kathryn Parlin, Walter Poor, Jennifer L. Chiodo, Al Bartsch. 2009. Presented at the 2004 ACEEE Conference, "Taking a Holistic Approach to Markets: How Efficiency Vermont's Transition from Programs to Markets is Changing the Way Energy Efficiency Services are Developed and Delivered." Jennifer L. Chiodo, Blair Hamilton. 2004. "Building Commissioning: A Golden Opportunity for Reducing Energy Costs and Greenhouse-gas Emissions." Evan Mills. 2009. "Best Practices in Commissioning Existing Buildings." Building Commissioning Association, 2008. "Commissioning for Great Buildings." Building Commissioning Association, 2005. This timeline from PECI reviews the evolution of building commissioning beginning in 1977. They have an impressive design manual available to download free. Exceptionally useful automated controls specifications, Sequences of Operation, graphic layout and a methodology that works to avoid repeated building failures. Efficiency Vermont provides technical assistance and financial incentives to help Vermont households and businesses reduce their energy costs with energy-efficient equipment and lighting. Efficiency Vermont also provides energy-efficient approaches to construction and renovation. New York State Energy Research and Development Authority (NYSERDA) is a public benefit corporation created in 1975. NYSERDA's aim is to help New York meet its energy goals: reducing energy consumption, promoting the use of renewable energy sources, and protecting the environment. PECI is a nonprofit corporation that has specialized in innovative and creative approaches to the responsible use of energy and facility resources since 1980.